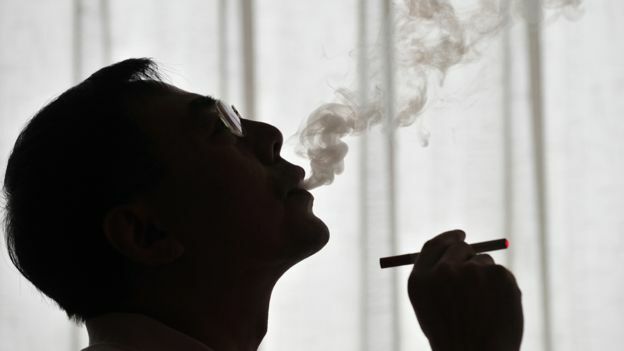 This year could ring in big changes for those of you who smoke e-cigarettes. From May, laws will be standardised across the EU restricting how large their liquid containers can be and how much nicotine they can contain. Restrictions on advertising will also come in. Politicians have been grappling for ages about how to deal with e-cigarettes, and whether they could serve as a ‘gateway’ to smoking actual cigarettes. Opponents say they are a helpful tool for people quitting smoking and should be promoted. In the UK, the new laws mean there will be tighter rules on what products you can buy but in other countries the laws will actually be loosened. For example, they are currently banned in Belgium but from May will be permitted again. Refill containers will have to be no larger than 10ml while cartridges will have a maximum size of 2ml. The strongest permissible nicotine strength will be set at 20mg (similar to a strong cigarette). If three or more EU countries decide e-cigarettes are harmful, they could potentially be banned outright. Some new laws have already been passed in the UK, such as a ban on selling e-cigarettes or e-liquids to anyone under the age of 18 which came into force in October last year. A quarter of e-cigarettes are set to be banned in Britain next year after Europe’s highest court paved the way for tough new regulations. Juliane Kokott, advocate general to the European Court of Justice, warned that e-cigarettes may act as a ‘gateway’ for teenagers to go on to smoke tobacco. Dr Kokott, the EU’s most senior legal officer, said regulation is needed because of ‘possible risks to human health’. Her intervention will have huge implications for the debate currently raging between health experts in Britain, some of whom insist that e-cigarettes will save thousands of lives, and others who are concerned that they have not yet been proven to be safe. Dr Kokott said an industry challenge against the new rules – which are due to be introduced in May as part of a new EU directive – should be dismissed. Judges at the court will have the final say when they deliver a ruling in March. 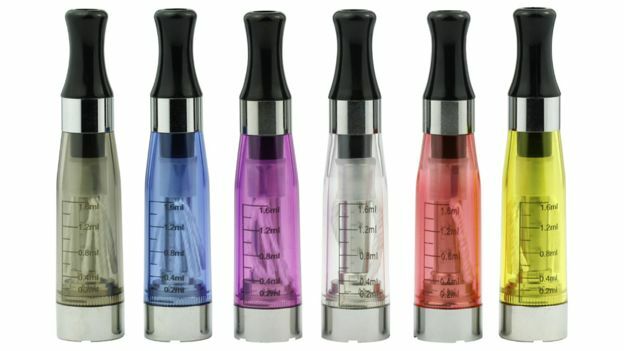 If they take Dr Kokott’s advice, and dismiss industry objections, vaping devices will no longer be allowed to contain more than 20 mg of nicotine per ml of liquid. Analysis by London Economics, a policy consultancy, suggests that 25 per cent of the gadgets currently on sale use liquid stronger than this threshold. The EU Tobacco Products Directive will also mean adverts have to be much more strictly regulated so that teenagers are not targeted. E-cigarettes will have to carry health warnings telling people they contain a ‘highly addictive substance’. And the size of refills and of the ‘tanks’ on the gadgets will also be limited for the first time. Dr Kokott also said that a separate challenge from big tobacco firms over plain packaging for cigarette boxes should be dismissed, paving the way for rules to be brought in from May. If that change goes through, cigarette packets will only be sold in boxes of 20, the packets will only allowed to be brown or green, and will carry a health warning covering 65 per cent of the box. 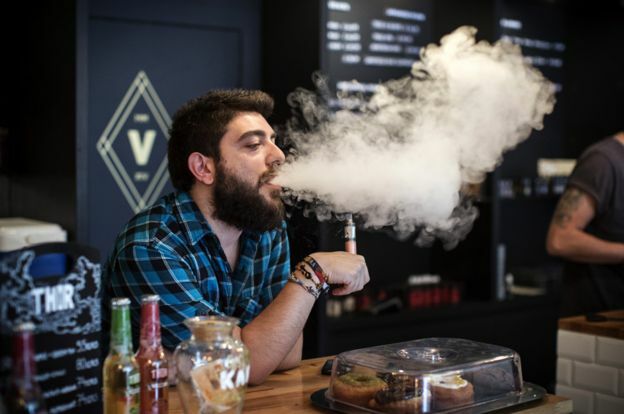 Industry figures yesterday warned that the new rules will mean vapers are ‘outlawed’ and may go back to smoking if they cannot get the strongest e-cigarettes – but health charities say it is right that emerging industry is properly regulated. Health experts agree that the devices are much safer than smoking tobacco – but some are concerned about unresolved safety concerns. The World Health Organisation has warned that they may be toxic to bystanders, many rail companies have banned people from vaping on trains or in stations, and the Welsh Government is planning to prohibit the practice in restaurants, pubs and offices from 2017. Yet Public Health England claimed in a report earlier this year that vaping was ‘95 per cent safe’ – a claim that was widely criticised when it emerged that it originated with scientists in the pay of the e-cigarette industry. 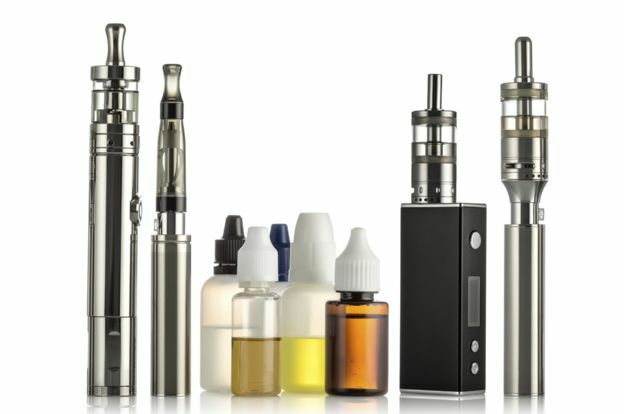 Around 2.6 million adults in Britain have used e-cigarettes in the decade or so that they have been on the market. Public health experts are keen to promote the gadgets as a smoking-cessation tool. But they are concerned that the devices are being advertised as a lifestyle accessory – in much the same way that tobacco was in the past. Ian Gregory, who runs the 100K group of e-cigarette companies, threatened that vapers would feel ‘outlawed’ – and would vote to leave the EU in a bid to rid themselves of the regulation. He said: ‘Britain’s vapers are determined to save the devices which they believe save their lives. ‘They will now start playing a game of Brexit Poker with the Commission – threatening to vote for Britain to leave the EU in the referendum unless the Commission insists on Britain having an opt-out. He claimed that the ban on stronger e-liquid would drive so many vapers back to smoking that it would cost 105,000 lives every year across Europe. But Alison Cox, director of prevention at Cancer Research UK, said regulation is needed. ‘We believe e-cigarettes need light touch regulations which will help guarantee products are safe and effective, and prevent them being promoted to non-smokers and children,’ she said. Deborah Arnott, chief executive of health charity Action on Smoking and Health, added: ‘Growing numbers of governments around the world are banning the sale of electronic cigarettes. Totally Wicked, the Blackburn-based e-cigarette company which headed the legal objection, last night played down the significance of the document. Fraser Cropper, Totally Wicked’s managing director, said: ‘This is not a formal decision, nor a legal judgement on the questions we raised in our challenge.